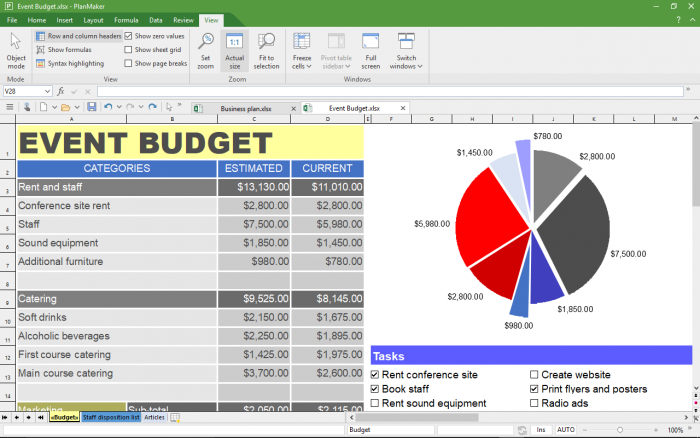 Office Suite is the best alternative to other office productivity software: affordable, powerful, lightning-fast, and compatible. The tools in Office Suite are perfect for home use, students and work settings where file sharing is important. 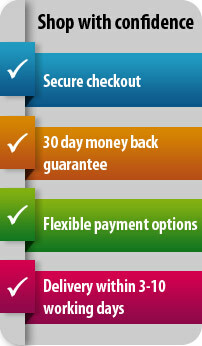 The powerful word processor is as well-suited for your daily correspondence as it is for designing brochures and flyers. The spreadsheet lets you complete your business and home calculations effectively, and also includes tools to create stunning charts and graphs. 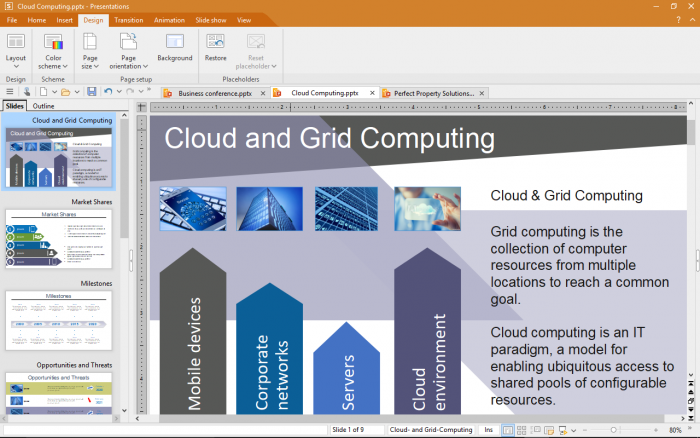 Impress your audience with Presentations from Office Suite. Templates are provided and animations will help you add impact. With the modern word processor TextMaker 3.0, you create documents of all kinds in no time: flyers, brochures, business letters or a complete thesis. 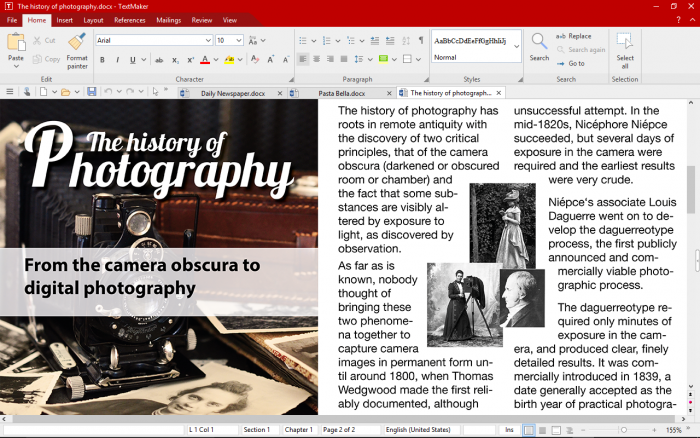 Thanks to the native use of the DOCX file format, your documents are always compatible with Microsoft Word. 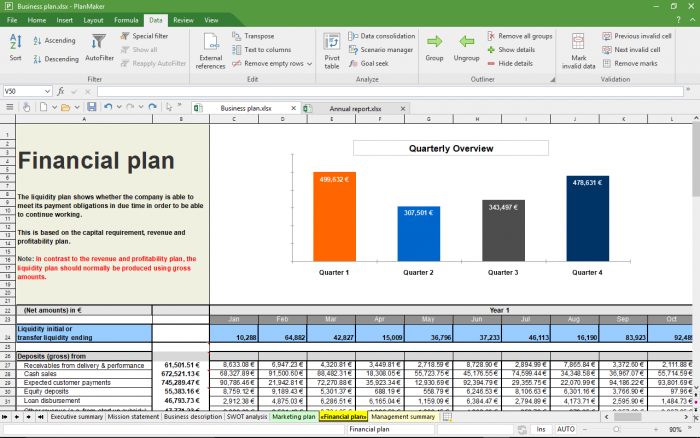 The powerful spreadsheet application PlanMaker 3.0 lets you simply and easily create calculations, tables and diagrams of any complexity, from simple schedules to all your business and financial planning. Thanks to the native use of the XLSX file format, you can edit original Microsoft Excel files. With Presentations 3.0, you create slide shows that impress. Thanks to breathtaking animations and slide transitions as well as an advanced master slide concept, you will be perfectly equipped for every speaking engagement. Since Presentations uses the PPTX file format natively, the exchange with Microsoft PowerPoint is completely seamless. License: 5 computers of the same household (non-commercial use) or 1 computer (commercial use). This is a one-time purchase, not a subscription. You can use the software as long as you want. 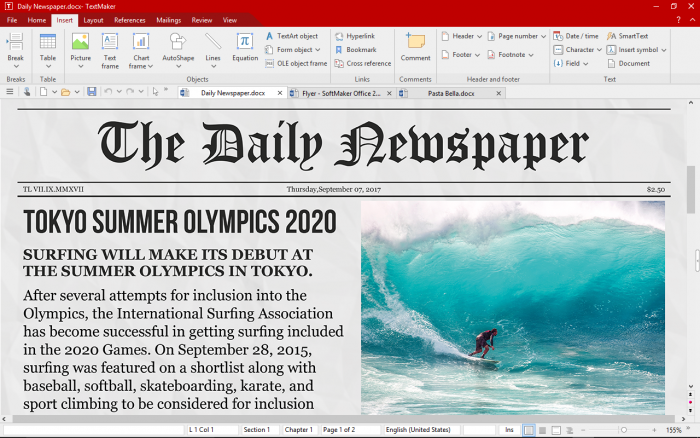 Office Suite 3.0 is your new office suite. It offers everything you’d expect from a professional office suite: outstanding word processing, a powerful spreadsheet and a first-class presentation application. 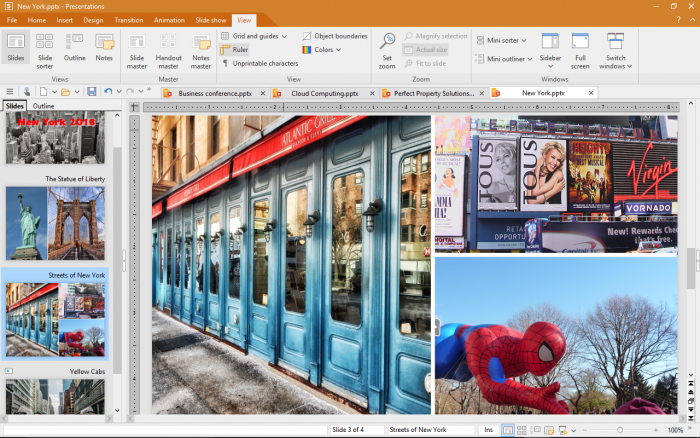 Office Suite 3.0 not only offers you numerous handy features—such as excellent PDF exporting and mobile installation of the entire office package on a USB flash drive—it is also seamlessly compatible with Microsoft Office. Ribbons or classic menus? 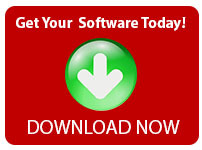 You have a choice: with Office Suite 3.0, you can easily switch between a traditional and a modern user interface. Windows® 7¹, Windows® 8¹, Windows® 10¹, keyboard, and mouse. ¹Administrator privileges are required to properly install the program on Windows® 7, Windows® 8, Windows® 10. SoftMaker Office is compatible with application servers such as Citrix XenApp and Microsoft Terminal Server. NOTE: A printer is highly recommended but not required.